Click on your county to access information about your Veterans Service Commission. When you click on your county, you will leave our website and be taken to their website in a different window. To return to our website, simply close their window or select us from Tab on browser. 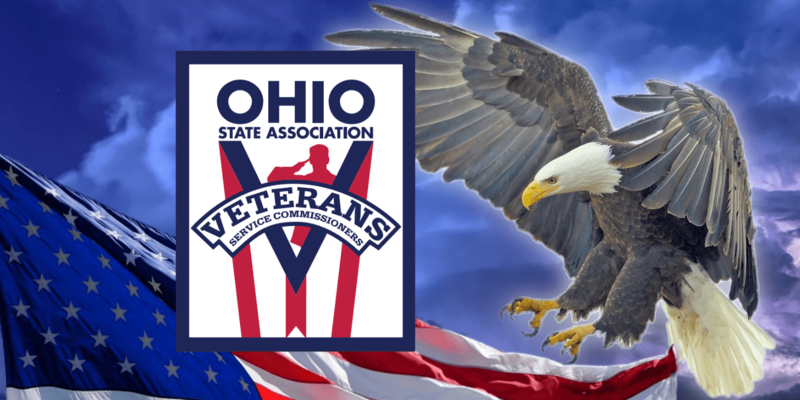 The Ohio State Association of Veterans Service Commissioners is assembled to advocate for and on behalf of Ohio’s Veterans. Our ranks include members of every branch of the military, of every era from WWII to the present war on Terrorism. Our Veterans Service Commissioners are representatives of American Legion, AMVETS, DAV, Korea War Veterans Association, Marine Corps League, Military Order of the Purple Heart, Vietnam Veterans of America (VVA), Veterans of Foreign Wars (VFW), or patriotic Veterans who have been appointed as a Member-At-Large.